Safety protections are standing in the way of making coal great again. Coal mining has always been a lethal industry, for both workers and the environment. But, unsurprisingly, President Donald Trump’s energy agenda threatens to make the coal industry even deadlier, by expanding domestic coal production while simultaneously unraveling Washington’s global commitments on carbon regulation. His plans will likely spell disaster on many fronts. In contrast to Trump’s claims that coal will “make America great again,” it will actually just force the country further behind the rest of the world in realizing that decisively ending our dependence on coal, and coal production, is the only way to make the planet livable again. While candidate Trump promised economic revival for impoverished rural coal communities and misleadingly vilified Democrats and environmentalists as “job killers”—blaming regulation, rather than the global coal market’s decline, for their joblessness—coal was killing actual workers in China, Turkey, India, Pakistan, and even here in the United States. This comes on top of hundreds of thousands of lives extinguished annually by fossil fuel–powered climate change—a massive epidemic that ultimately hits poorer countries harder than rich ones. Whether from the hazards of its production or the health impact of its pollution, the global death toll of coal doesn’t count for Trump nearly as much as the corporate profits he hopes will roll in under his watch. For workers, despite Trump’s promises of relief, any new jobs will ultimately cost more in lives than it brings in income. Globally, workers themselves are realizing this and demanding industrial transformation. Not because they’re environmentalists; because their lives depend on it. For several years the international union federation IndustriALL has led a global campaign to push through the International Labour Organization Convention 176, which would secure health and safety protections for mine workers worldwide. In addition to saving lives in the immediate term, this would serve the purpose of both equalizing labor standards across countries and advancing the shift towards sustainable energy; for the transformation to be comprehensive, it must be equitable and fair to the impacted labor force. IndustriALL also sees labor power as integral to sound energy policy. According to the federation, the ILO convention “provides the organizing space for unions to build a workplace safety culture from the ground up,” which is a basic right that must be fulfilled if workers are ever to contemplate the long-term future of their communities in light of the climate crisis. Convention 176 sets a baseline for mining operations in safety protections and regulations to minimize health risks to workers, which directs companies to “ensure that the mine is commissioned, operated, maintained and decommissioned in such a way that workers can perform the work assigned to them without endangering their safety and health or that of other persons.” The accord, ratified by only 31 countries so far, includes mandates for providing proper safety equipment, for workers’ right to refuse dangerous work, to be informed of all potential workplace hazards, and the right to labor representation in decisions on safety policy. If workers can assert their basic rights to health and safety, can that be expanded to include a clean and functioning environment as a whole? Ultimately, such an all-encompassing worker-focused agenda benefits not only mining communities—in terms of tackling the immediate polluting impacts such as toxic water and soil contamination—but also the globe, through decreasing the mass respiratory damage caused by coal-fired power plants, and most importantly, curbing the carbon pollution driving global warming. This is the central ethos behind labor’s global “Just Transition” plan to move the world away from fossil fuels: Workers cannot just be collateral damage of the decline of carbon-based energy. They also have to be part of the process that determines who will benefit and how in the clean-energy future based on renewable sources. We’re a long way from a total transformation to sustainable-energy systems. But if companies cannot provide for the safety of their own workforces, then they’re not going to be able to think more broadly about their social responsibility toward the public and the environment. The provisions of Convention 176 are—in the United States, at least—safe for now, but that does not mean they are being meaningfully enforced. While mining deaths have declined significantly as the industry has withered, mining’s destructive power continues to afflict millions through disaster and disease. The 2006 West Virginia Sago Mine explosion still haunts the Trump White House today, as secretary of commerce–appointee Wilbur Ross played a leadership role in the company responsible for the disaster. 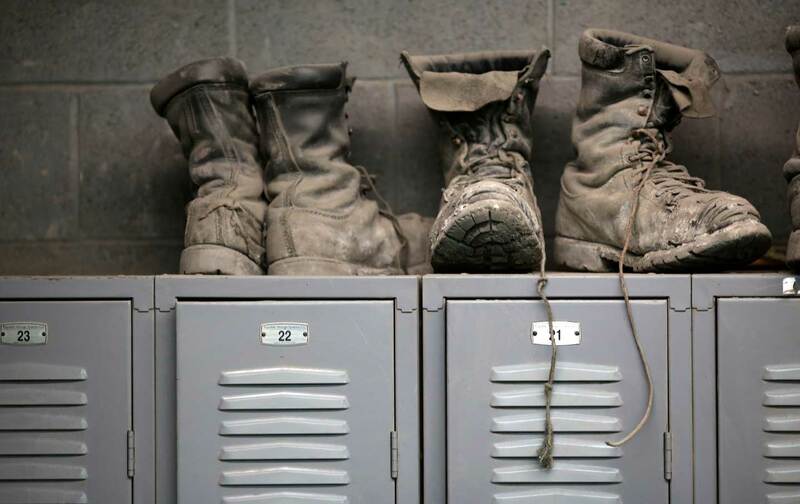 The explosion killed 12 workers following a slew of preventable safety violations. The Trump administration could soon deal another blow to aging former coal workers dying of black lung across the country with the impending repeal of the Affordable Care Act. Health advocates fear that the loss of the legislation, which contained relief provisions for victims of the incurable disease, will eliminate one of the few health-care resources available to hundreds of afflicted workers. Financially ailing coal companies are also reportedly failing to remediate the disaster zones they’re leaving behind—leaving communities plagued with toxic waste dumped during decades of strip mining and other destructive extraction methods used in rural environments. And the overarching crisis is that the Trump administration’s climate denialism and rejection of the Paris Climate Treaty will further set back the global political shift toward decarbonization and in turn threaten still more death and disease for workers across the Global South. When Trump promises to make coal country great again, he’s reviving the historical myth that the coal industry would, generation after generation, provide a good life. But the American workers who are willing to break with that mythology, and rise up to demand safe, dignified work and the right to breathe free, have the rest of the world’s mine workers on their side.